As part of our focus on Polish director Andrzej Żuławski, we take an illustrated look at his dark and moody drama The Most Important Thing: Love. 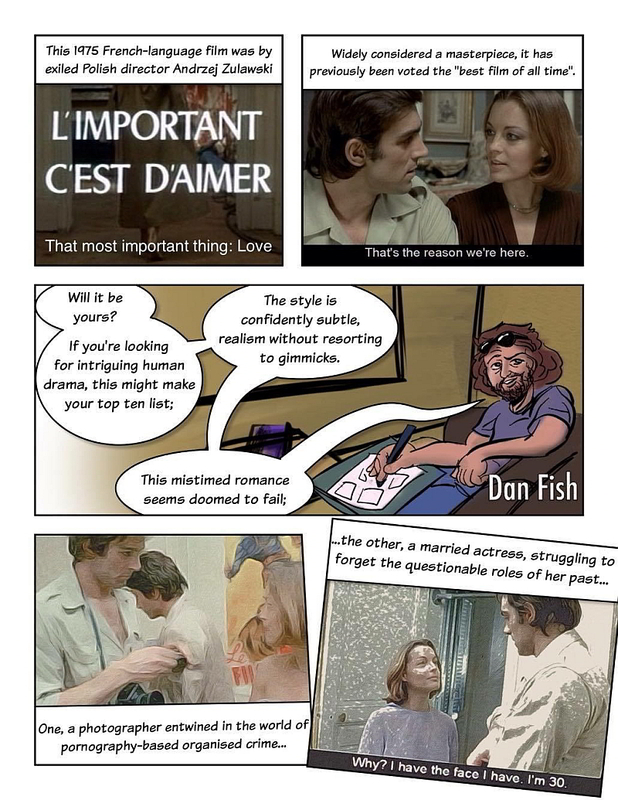 Based on the novel La Nuit américaine by Christopher Frank, the story revolves around the passionate love affair between struggling actress Nadine (Romy Schneider), who earns her money starring in cheap soft-core movies, and Servais Mont, a photographer (Fabio Testi) determined to help her get her career back. More information on Daniel Fish can be found on his website.